Palate (91): powerful, oily. peat, honey, seaweed, salt, pepper, citrus, earthy. Explendid! So based on other whiskies I have already tasted I rate this Laphroaig Quarter Cask with 90 points over 100. I have a bottle of this one but still I haven’t tasted it… let’s see if TWE Whisky Show gives me a chance. 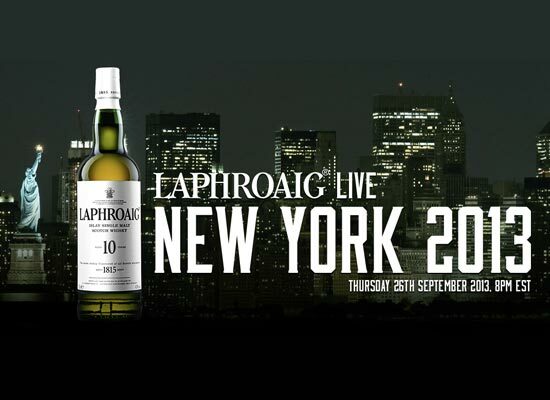 As usual you can follow the Live Show at http://laphroaig.com/live. I was at the Laphroaig Live Jerez and that was definitively what sparkle the my interest in writing about single malt whisky. If you have the chance, go! Free Whisky!